On the practical side, little changes for the two red leaders: they have been serving life sentences for the crimes against humanity since August 7, 2014; now, they will serve, so to speak, two. But it is the first time that such accusation is pronounced and officially ratified by a Cambodian court of justice ‒ not by one of many, but by the ad hoc tribunal supported by the UN that in 10 years has spent 300 million U.S. dollars for research. In April 1975, Pol Pot ‒ a great admirer of the French Revolution (1789-1799) and a friend of a certain gauche-caviar in Paris, for example, the existentialist philosopher Jean-Paul Sartre (1905-1980) ‒ brings to power in Cambodia the nationalist wing of the Khmer Rouge: Khmer because this is the name of the largest ethnic group of the country (87%), “red” because they were followers of the Communist Party of Kampuchea (meaning Cambodia in the Khmer language). Choeung Ek, formerly an orchard about 15 km south of Phnom Penh, is one of the best-known killing fields. Among the horrifying places in the area, there is also a tree used just for children: they were smashed against it. Cambodian horror arrived even to cannibalism: witnesses in courts later testified of cases when headsmen ate body parts of executed people. The “party-state-god,” literally, is in charge. At the origin of and above everything, Pol Pot and his comrades put the “Angkar Padevat,” or the “Revolutionary Organization,” alternatively called the “Angkar Loeu,” or the “High Organization”: it is an obscure entity superior to anything else, for which people and things are just tools. People must adore it as a “political divinity.” It is the law, justice, the guardian of the revolution, the measure of everything, the executioner against the “enemies of the people.” His “priests” are the members of the “Party Core,” i.e., the central committee of “Kena Mocchhim,” or the “Party Apparatus.” They call each other “Brother,” followed by a number. When one says that Nuon Chea was no. 2 of the regime and Khieu Samphan no. 4 that is literal. The Pol Pot’s regime collapses when on January 7, 1979, the communist but pro-USSR Vietnam invades Phnom Penh. The Vietnamese do their math and talk of about 3.3 million victims. This depends on whether one also includes the deaths from hunger caused by the rationing of food due to ideological reasons: eating little had to serve in forging the new communist man (while at the same time, the Khmer Rouge exported food to China). The net of this varies: the U.S. State Department has counted 1.2 million victims, the Yale University estimated 1.7 million and scholar Rudolph J. Rummel 2 million. Pol Pot himself has admitted to killing 800,000. The country’s census in 1972 counted 7.1 million inhabitants: meaning that from mid-1975 to the end of 1978, more than 25% of the population was eliminated, calculating prudently. A massacre that, going by percentage, perhaps has no equals in history. But it would be too simple to dismiss it as pure madness. It was not that at all. It was, instead, the clear and logical consequence of the communist ideological system, especially in its Maoist version. Without China, the Khmer Rouge regime would have never existed neither ideologically nor historically, as Bitter Winter has already highlighted. Therefore, turning a full light on the years of Democratic Kampuchea would mean to ask the current Chinese regime to openly repudiate the past support that China gave to the Khmer Rouge, but above all, to stop the no less genocidal Cambodia-like policies that it practices today. The significant ruling of November 16 presents a dark side that explains why it has never been possible to nail the Cambodian assassins for their atrocities. In addition to Nuon Chea and Khieu Samphan, only Kaing Guek Eav, known under the battle name of “Duch,” is in jail. On July 26, 2010, he was sentenced for crimes against humanity to 35 years in prison then changed to life imprisonment on February 3, 2012. He commanded the special police Santebal, i.e., “Custodians of Peace,” in charge of internal security and camps. He managed to tarnish himself with the death of over 17,000 people in Tuol Sleng’s former high school, which was bureaucratically renamed Security Prison 21 (S-21), on the outskirts of Phnom Penh, now a museum. Ieng Sary (1925-2013), no. 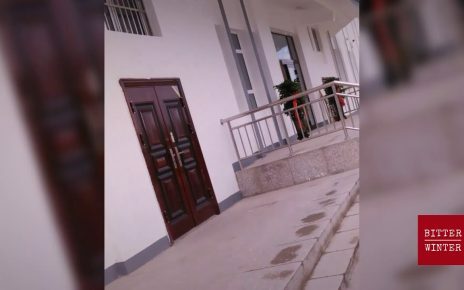 3 of the regime and the Minister of Foreign Affairs, and his wife, Ieng Khieu Thirith (1932-2015), the Minister of Social Affairs (and sister of Pol Pot’s first wife), have lived in a barricaded luxurious villa in the southern part of capital until their arrest on November 12, 2007. 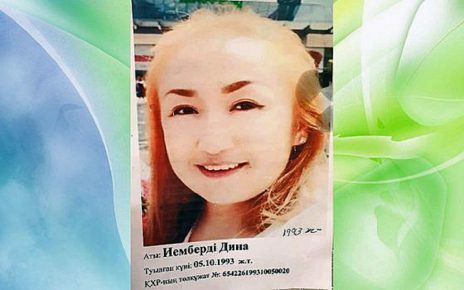 Brought to trial, she was found unfit to stand it due to her diagnosis of dementia; her husband, formally charged with genocide on December 16, 2009, died in detention awaiting trial. That’s all. Why so few, is a complex issue, and it has to do with collusion, connivance and international convenience. Why it’s not possible to incriminate the Khmer Rouge for genocide (but “only” for crimes against humanity) concerns precisely the concept of genocide. “Genocide” is a neologism with a specific juridical value created in 1944 by the Polish lawyer Raphael Lemkin (1900-1959) vis–à–vis the Holocaust: the premeditated and systematic extermination of a homogeneous human group or with a recognizable ethnical, cultural or religious identity. As a matter of fact, though, the definition of genocide has always been applied just to ethnic groups: thus, for example, that of a religious-ethnic nature against Christians in Armenia between 1915 and 1916 has been rightly identified as a genocide, but not that of a cultural-religious nature against Catholics in Vendée between 1793 and 1794). A strict definition with strong logic, but with evident limits too. In fact, why not also considering human groups identifiable, for example, socially or economically ‒ or the “non-communists” hated by Pol Pot? Moreover, the identification of a homogeneous human group can be subject to the captiousness of those who are in bad faith as to the subject of genocide. When the international community adopted the definition of genocide mentioned above after World War II, its members did not always speak in good faith. For example, the Soviet Union used it as a way to exclude the Holodomor, the Ukrainian genocide caused by induced famine between 1929 and 1933. Those Ukrainians, in fact, escaped the Lemkian classification, especially if applied strictly. Well, the Cambodian victims, who aren’t ethnically different from their Cambodian executioners, can’t be easily identified as a specific cultural (or religious) group as well. 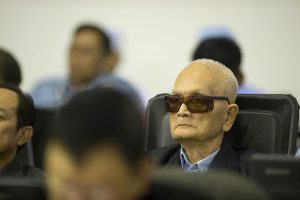 On November 16, Nuon Chea and Khieu Samphan were found guilty of genocide, but the first of genocide against the Vietnamese minority of Cambodia and the Cham Muslim minority, while the second of genocide against the Vietnamese minority only (and not towards the Cham). A decisive factor to throw them in jail, but in this way, the monstrous “self-genocide” committed by the communist Cambodians against the rest of the Cambodian non-communist population fades ‒ although we all know that Pol Pot’s was a real genocide documented by books, films, and even horror museums. Fortunately, however, the world is wider than courtrooms. Since a long time, scholars have separated the concept of genocide from ethnic belonging, even contemplating the idea of “cold genocide,” or the methodical eradication of a human group through killings, incarcerations, and torture throughout several years. Not at all academically, but very concretely, they then wonder if what China does today to Uyghurs, Falun Gong and other groups such as The Church of Almighty God could be qualified as genocide. This, of course, strengthens, but also broadens the fundamental concept of “cultural genocide.” Thus, if the international courts follow the path of the academic specialists, even the Pol Pot’s criminal regime could finally be nailed for what it did. Will that day come? If so, then we will finally see the main supporter of the genocidal Kampuchea of ​​yesterday on the dock, a country that continues to commit genocides today: China.